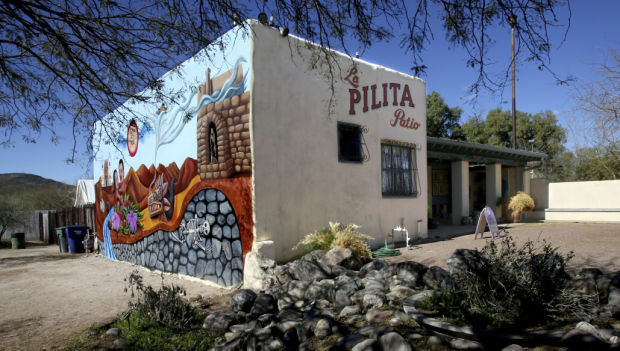 We’re thrilled to announce that tonight the Tucson Mayor & Council approved a lease for Spoken Futures and our partner organization the Southwest Institute for Learning to rent the former La Pilita Museum site on Main Ave in Tucson’s Barrio Viejo! Codirectors Sarah Gonzales and Logan Phillips spoke at the meeting, followed by staff member Eva Sierra who performed her poem “Orgullo” for Mayor & Council. The first project in residence our new youth-centered arts and social justice center will be Borderlands Theater‘s Barrio Stories Project, which is currently in development and will debut in Spring 2016. In addition, our community can expect writing and performance workshops, open mics, a shadow puppetry collaboration with the students of Carrillo Elementary (also lead by Borderlands), and more! Further announcements will be made in the coming weeks regarding an opening celebration and other upcoming events. Stay tuned. The Tucson Youth Poetry Slam, our flagship program which just kicked off its 6th season last weekend to a crowd of over 120, will continue to be held every 3rd Saturday of the month at Bentley’s House of Coffee & Tea. If you haven’t been to the TYPS yet, go! The next monthly slam is 10/21. We appreciate and are thankful for the support of the City of Tucson Parks and Recreation Department, Office of Real Estate, Councilmember Steve Kozachik and the Barrio Viejo Neighborhood Association. We couldn’t ask for better partners in the Southwest Institute & Borderlands, and are excited to begin a new chapter in the ongoing story of youth voice and engagement in Southern Arizona.